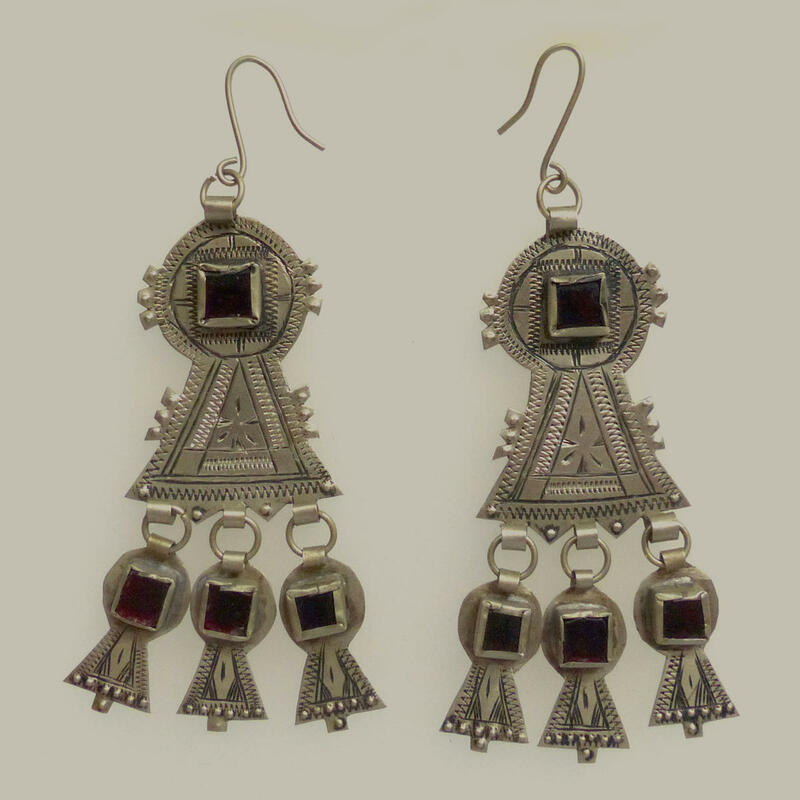 Striking handcrafted earrings set with foiled ruby glass from the nomad tribes of Kazakhstan. Cleverly cut from sheet metal and then chased and adorned with silver ball decoration. Most likely made from "gillit", a mixed metal that is mostly brass, nickel, and old melted down coins. 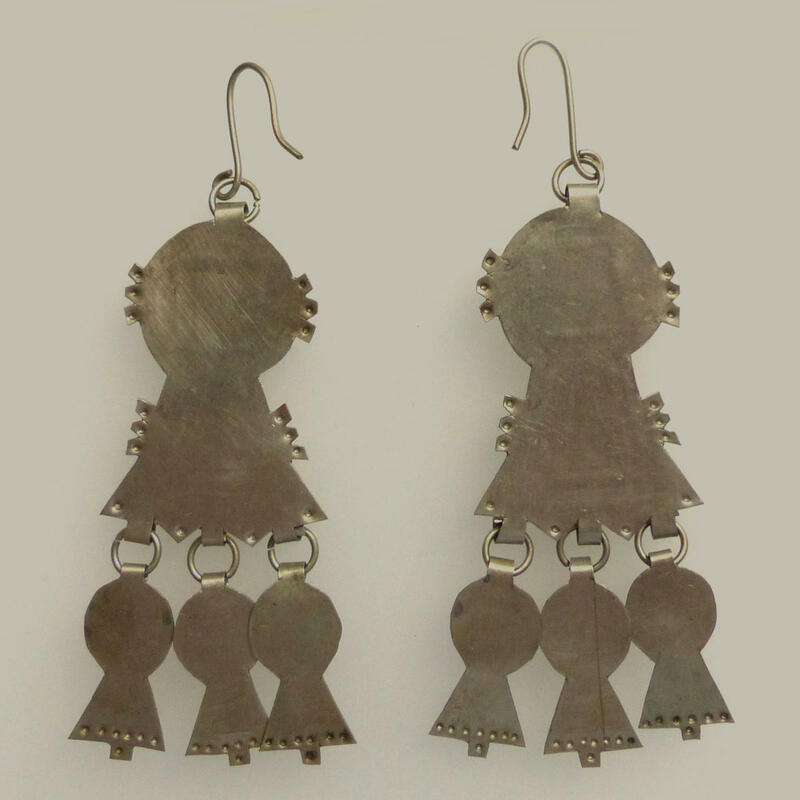 Highly sought after by tribal belly dancers and collectors alike.